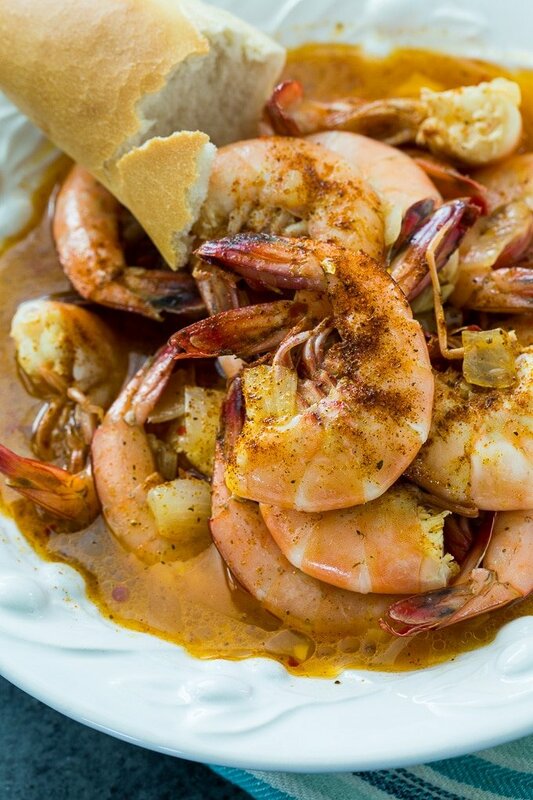 Fresh shrimp are simmered in a mixture of butter, beer, Old Bay seasoning, red pepper flakes, onion, and garlic. Shrimp cook in just a few minutes so it is best to let them soak in the cooking liquid for awhile after they are cooked. They will soak up more of the flavors this way. 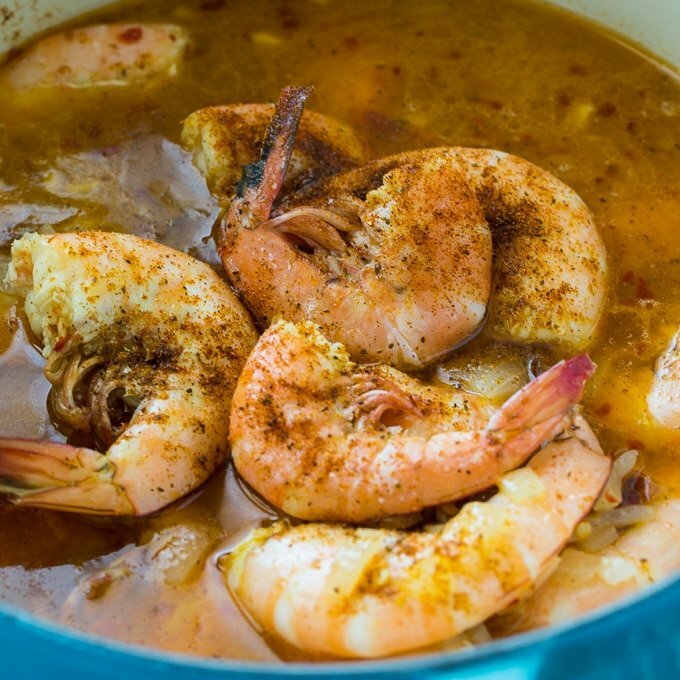 You don’t want to overcook the shrimp so be sure you remove them from the heat before they are fully cooked. They will continue to cook in the hot liquid. 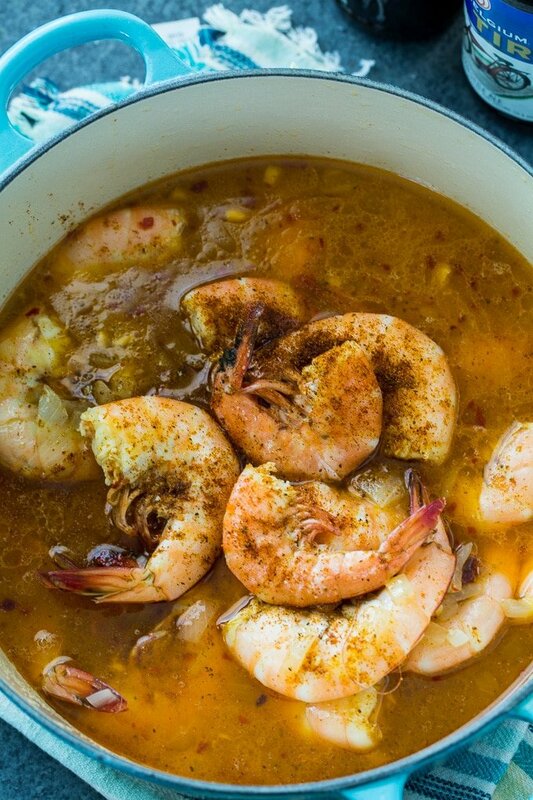 The shrimp cook in their shells for maximum flavor. Eating them is messy. Be sure to have plenty of paper towels handy and a few cold beers to wash down all that spice. If you want to, serve these Spicy Beer Shrimp with cocktail sauce or just peel them and dip them in the spicy broth. Either way, this is an easy, tasty meal or appetizer perfect for lazy summer days. In a Dutch oven, melt butter over medium heat. Add onion and cook until soft, about 5 minutes. Add salt, Old Bay Seasoning, and crushed red pepper flakes. This entry was posted in Appetizers and tagged shrimp, spicy. Bookmark the permalink. The best boiled shrimp recipe ever! I love this recipe & it is so easy! Since I can’t stand Old Bay, I substitute Tony Chachere’s creole seasoning.